Acceptance, why it is that difficult? Thank you Radhika. I’m strong enough. But it hurts to see those going weak who were once pillar of our strength. Thank you so much for this love. I need it at this time. Meenakshi, the pain can tear and destroy the soul and sleepless night rips one apart. I can try to feel your pain and your mother. It’s never easy for the soul is present. 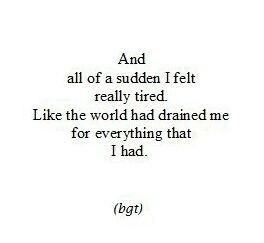 It’s happening a lot with me and though my pain is not similar the depression that keeps occurring. Wish you and your family all the strength to conquer. The intense pain transform into depression Vishal. I have seen my brother sinking into depression. Though I’m strong enough to not let myself slip in this phase. Please don’t allow this to overpower you. Though I know you can never surrender in front of it. Thank you for understanding pain of my parents. It kills to see family like this. And moreover there is no hope that we can give them. We could just pray for peace. Thanks so much M for your words and will stand tall for depression not to over power me. I know how tough it gets under the preent situation and when there is no hope, perhaps I shall say take your time to grieve, My best wishes always. Thank you so much Vishal! It’s so hard for parents to bear the pain of losing their child. I pray for peace and comfort in their hearts and mind. Pray for you also, Meenakshi! It’s okay to let your heart bleed in words at night. It’s very comforting in easing the pain. What a line, hope you won’t mind if I use it in my poem.’ They sell marriage in name of companionship and sharing life’. Sure babe go ahead !! Keep fighting and winning our hearts with your awesome poetry.